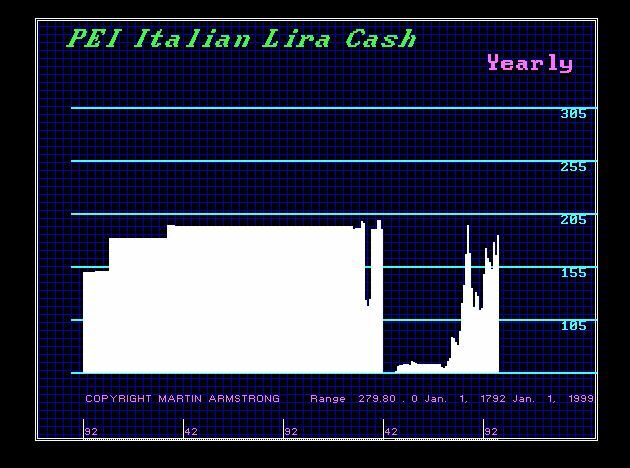 QUESTION: Mr. Armstrong; A friend of mine worked for the central bank back in the nineties and he gave me a copy of this chart you provided to Italy on your recommendation not to enter the euro on the present terms back then. He said you were the only one with a database and nobody ever saw what the lira looked likely before World War II. Do you have that report you gave to the Italian Central Bank? ANSWER: Sorry. I do not have a copy of that report. It was a private issue. The general advice was put out back then in a series of reports we published for our general client base (see Euro). Here is a chart from 1792 to 1999. 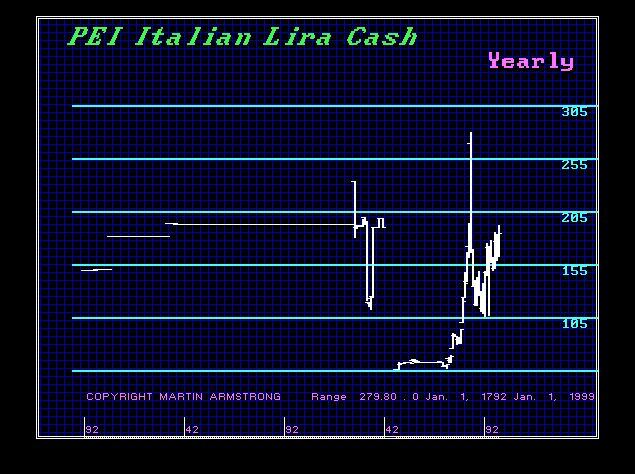 We can see that the intraday high for the US dollar against the Italian Lira was 1985. Here is a chart on a closing basis. We can easily see that the US dollar is breaking out and will be making historical new highs against Italy going forward in time. 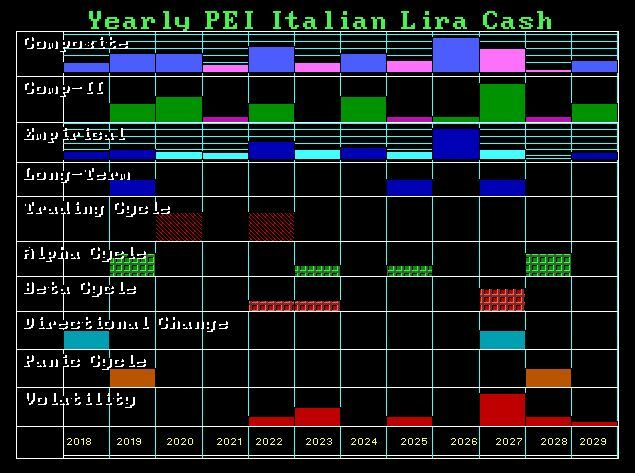 Now when we ask the computer to extrapolate the Lira from the past and project where the turning points would be in time looking ahead as if it were a single currency, 2018 comes up as a directional change and 2019 in a Panic Cycle. Here are the turning points and we will see this provide the critical points for cracking the euro. « Italian Elections – Another Nail in the Coffin of Brussels?